Alexa will then tell you about Amazon’s deals for that day. If you like what you hear, you can then tell Alexa to order the item. The sale begins on Friday, November 18 and lasts through November 21. Amazon says there will be more Alexa-only deals throughout the holidays. Anyone who wants to can peruse the deals on Amazon’s website, but ordering the items at the sale price requires a Prime membership and an Alexa-enabled device. Amazon says shopping with Alexa also requires Prime members to have 1-click enabled. The story behind the story: While Alexa’s deals sounds great, careful shoppers will want to beware especially when Amazon’s intelligent assistant is offering discounts on big ticket items. One current deal, for example, is $80 off a 32-inch Samsung 1080p TV—okay, the deal is actually $78 off but who’s counting? Anyway, that sounds like a good deal, and checking out that Samsung model on Amazon and other sites shows that it usually sells for about $197. Prime members using this particular Alexa deal, meanwhile, can get it for $119. Not bad for a budget-priced television, but that’s just one deal. Before buying large items it’s always best to see just how good the deal really is. Most of these deals will still be there a few minutes later so there’s no rush. All you need to do is check the model on Amazon’s Alexa deals page and see what the price is on other sites. Amazon is usually pretty good about sale prices, but we're entering Black Friday territory, where many discounts are anything but. If you’re a Prime member wishing for an Alexa device, Amazon has a second reason to start using its digital assistant. 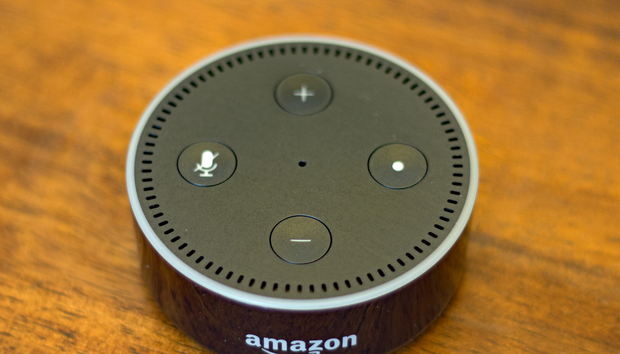 AT&T announced it will support sending text messages from an Amazon Echo device such as our favorite the Echo Dot.